This summer has witnessed me enjoying more than my usual number of ice cream treats. I’m not quite sure what happened, and I certainly haven’t been trying to push away the urges to indulge. 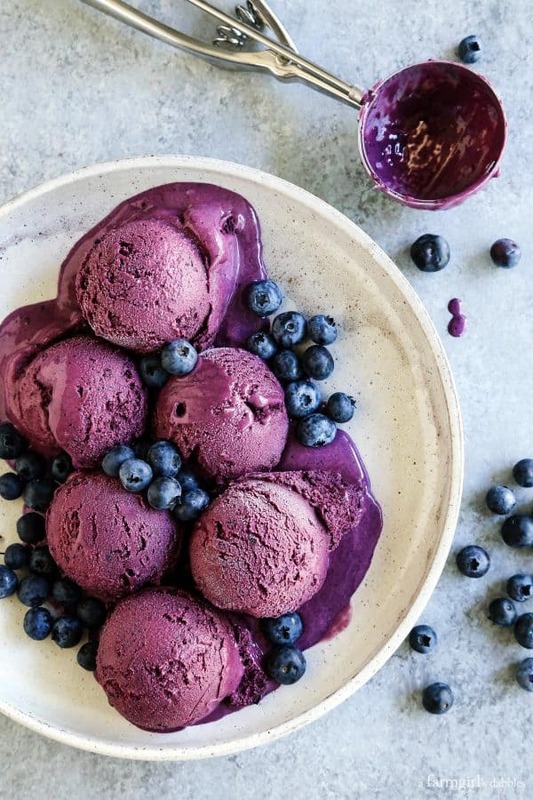 Other than eating up all the fresh, sweet local berries I can possibly get my hands on, ice cream has pretty much been my dessert of choice since summer began. 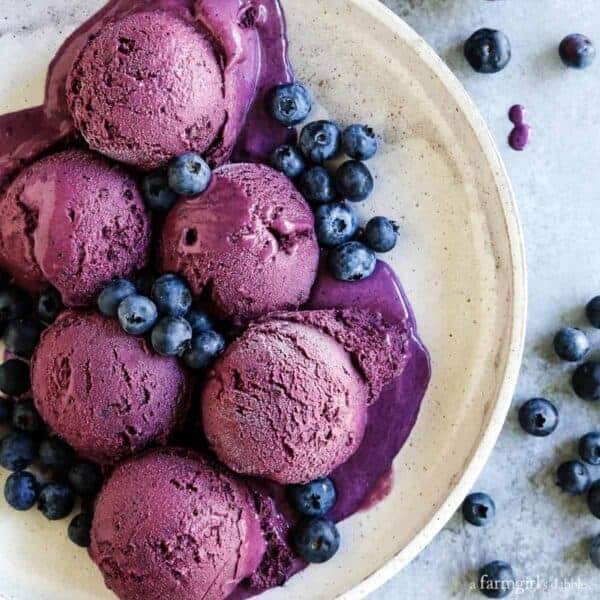 This Roasted Blueberry Crème Fraîche Ice Cream incorporates the best of both of my summer dessert worlds >>> beautiful berries AND ice cream. Talk about a win-win! *Our oldest daughter is especially fond of ice cream. Here are a few of her favorites: Fresh Raspberry and Brownie Chunk Ice Cream, decadent Crème Fraîche Ice Cream with Roasted Strawberry Swirl, and super fun Cookie Monster Ice Cream. 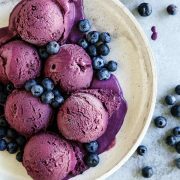 This blueberry ice cream recipe comes from The Gourmet Kitchen by Jennifer Farley of Savory Simple. I’ve known Jennifer by way of the internet for quite some time, and am looking forward to meeting her in person at an event this fall. 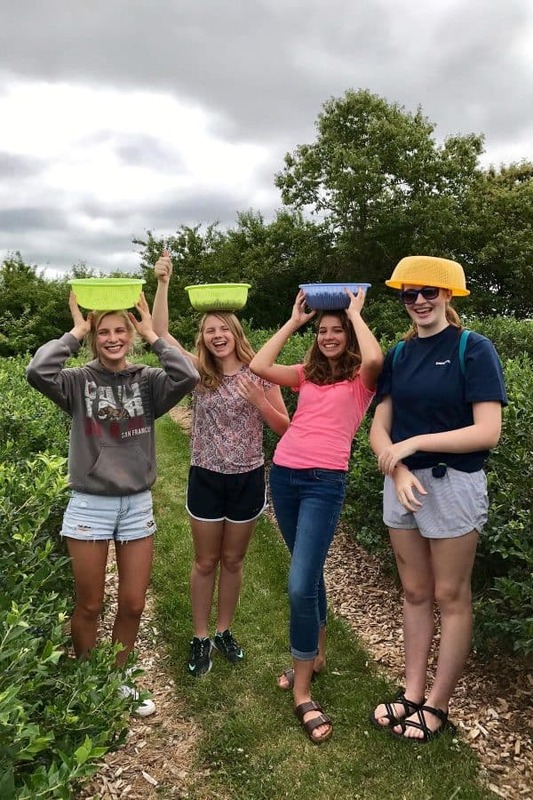 Every July, the girls and I make our annual trek south along the river to Rush River Produce near Maiden Rock, Wisconsin. 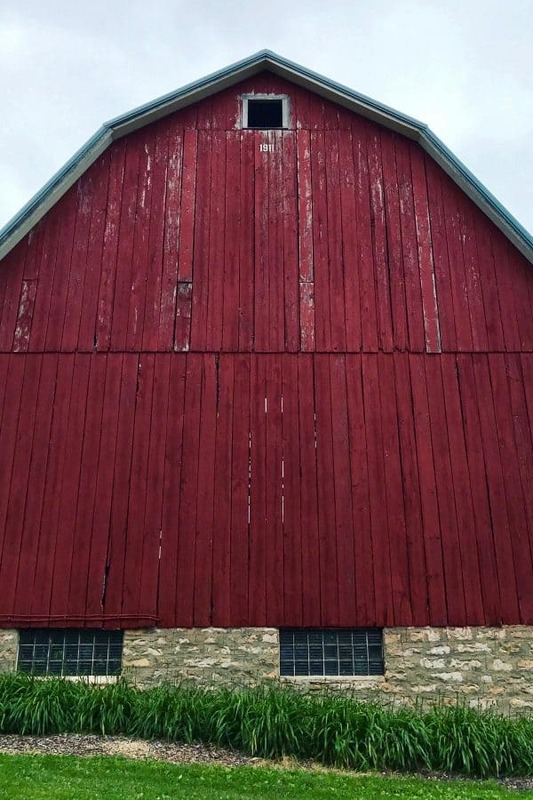 The setting is picturesque – an older farm tucked into the rolling green bluffs, just a few miles inland from Lake Pepin. The blueberry bushes are plentiful here. Row after row after row, bursting with sweet, tart goodness. Our daughters have always invited a friend or two to join us. And this year we packed the car with the most blueberry pickers ever. 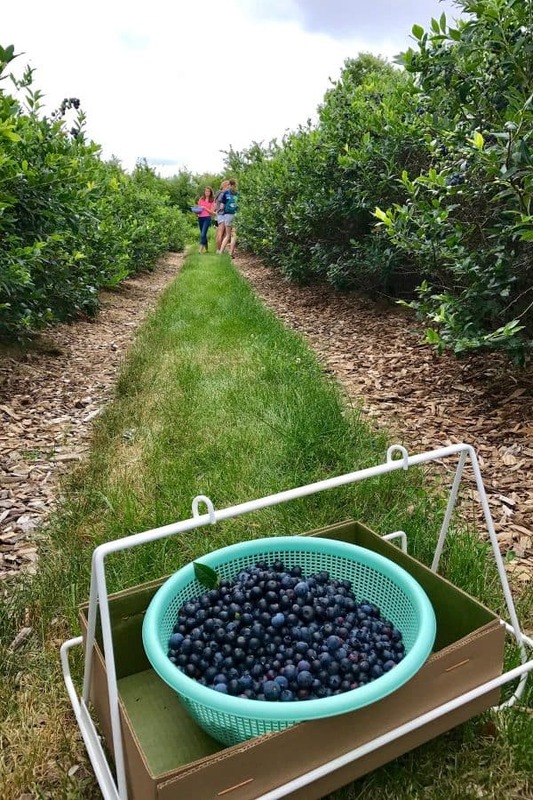 I picked less blueberries myself this year, but with all the help, ended up paying for more than any previous year. Over 18 pounds of those beauties! These two quit picking every now then to hold blueberry tossing contests, seeing who could toss a blueberry a few feet into the air and catch it in their mouth. With a few rounds of practice, they became quite good at this game. But then the farm’s tire swing was calling, and they were gone. And these four, never a dull moment nor lull in conversation. Such sweet friendships. The girlfriends came home with us – to share a couple pizzas, watch a movie, and spend the night. 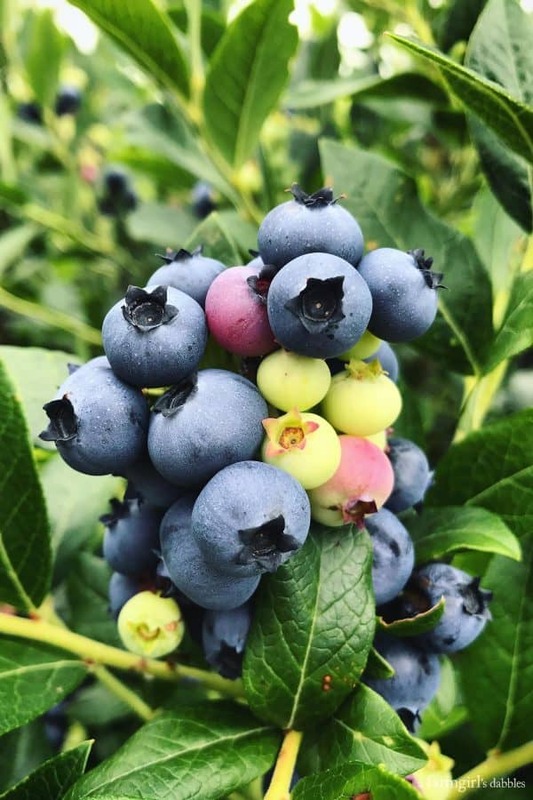 And after they left the following morning, Hatti, Tessa, and I roasted a pan of those just-picked blueberries, all in the name of ice cream. If you didn’t already know, I’m a huge fan of crème fraîche in ice cream, with two recipes already in the archives. This recipe is pure crème fraîche, while this one incorporates a roasted strawberry swirl. Jennifer’s recipe, rich in roasted blueberry goodness, is absolutely divine. Lusciously creamy and tangy from the crème fraîche, and with a deep sweetness from the roasting of the blueberries, I’ve already promised myself a batch with each and every hand-picked harvest of July blueberries from here on out. 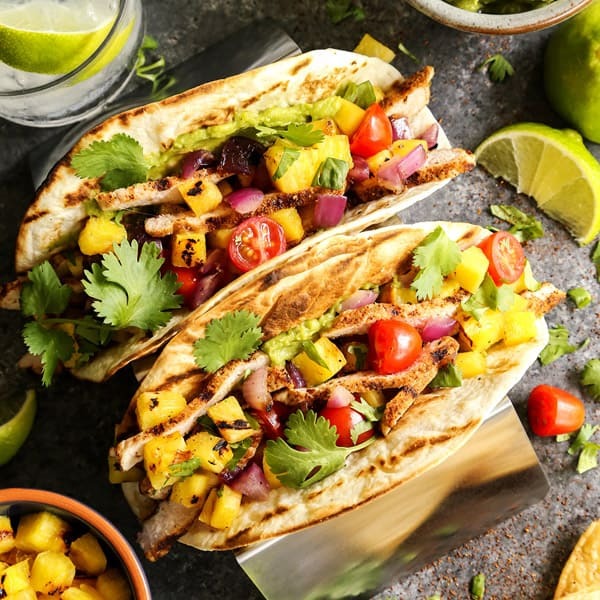 *Here are a few more summery frozen recipes I’m loving right now: Peach Sherbet from TidyMom, Strawberry Ice Cream from Foodie with Family, and Chocolate Chip Mint Greek Yogurt Pops from Country Cleaver. Preheat oven to 400° F. Line a rimmed baking sheet with aluminum foil. 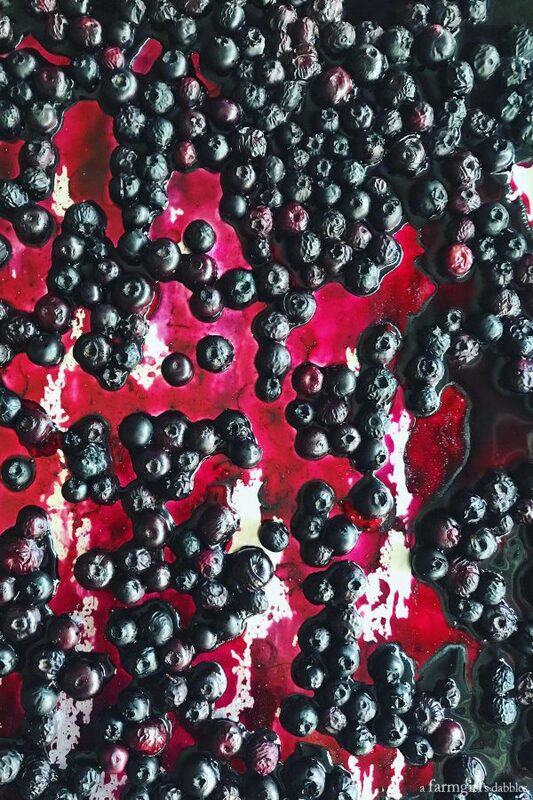 Place blueberries on prepared baking sheet. Roast berries for 12 minutes, shaking the pan every 4 minutes for even cooking. Remove from the oven and allow to cool. Puree blueberries and any accumulated juices in a blender until smooth. Set aside. 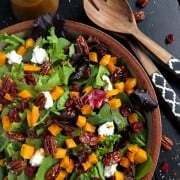 In a large bowl, whisk together egg yolks and sugar. In a medium saucepan over medium heat, warm the milk and vanilla. When mixture is just starting to simmer (do not let it come to a boil), turn the heat down to low. Slowly ladle the milk mixture into the yolks while whisking continuously. Pour mixture back into saucepan over medium heat. Stir with a heatproof rubber spatula or wooden spoon for 5 to 10 minutes, or until slightly thickened. Remove saucepan from heat and whisk in crème fraîche until smooth. Stir in roasted blueberry puree. Allow to cool for 5 to 10 minutes, stirring periodically. Transfer mixture to a bowl with a tight fitting lid and chill until very cold, preferably overnight. Prepare ice cream according to the manufacturer’s instructions. The ice cream will be a soft-serve consistency straight out of the machine. For a firmer ice cream, chill in freezer for at least a few hours or overnight. 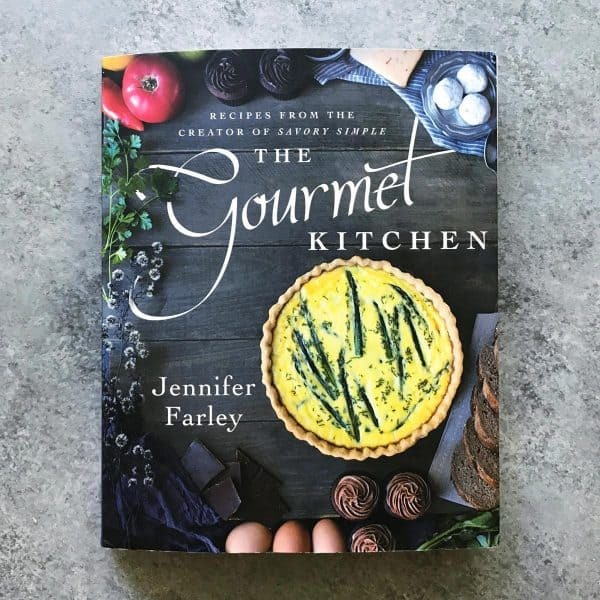 Recipe from The Gourmet Kitchen by Jennifer Farley. This looks so gorgeous. Love the color from blueberries. OH. EM. GEE. This ice cream is absolutely beautiful! blueberry tea cake this morning and it’s a winner! Reading your comment makes me smile big. I’m so glad you’ve been enjoying this little annual tradition of ours…including the stop for PIE!! 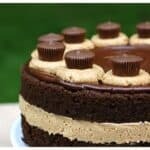 :) And I love that you made my mom’s tea cake recipe. Enjoy! 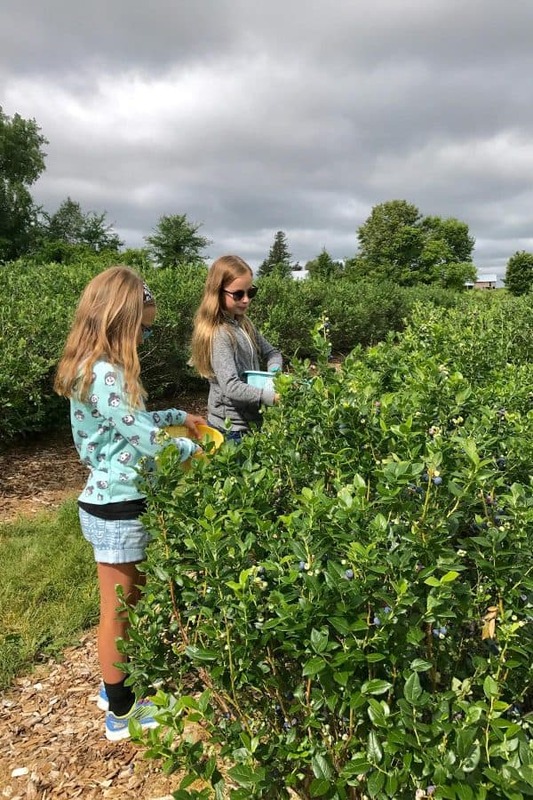 Blueberry picking is such a special, summer treat. And what a great way to feature them! Just gorgeous! There are no blueberries like just-picked blueberries. I wish everyone could know that!! Thanks, Brian. 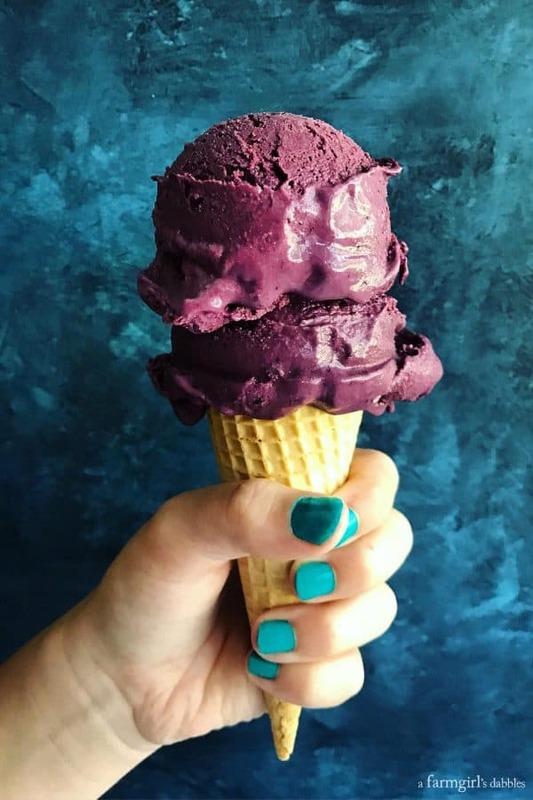 OBSESSED with the color of this ice cream! I’ve never roasted bloobs before….but now I gotta try! Roasting blueberries is definitely a game changer. 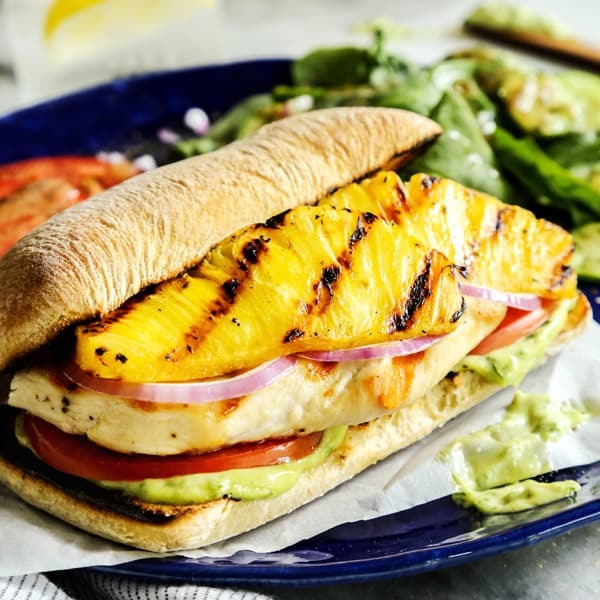 You MUST try it!! 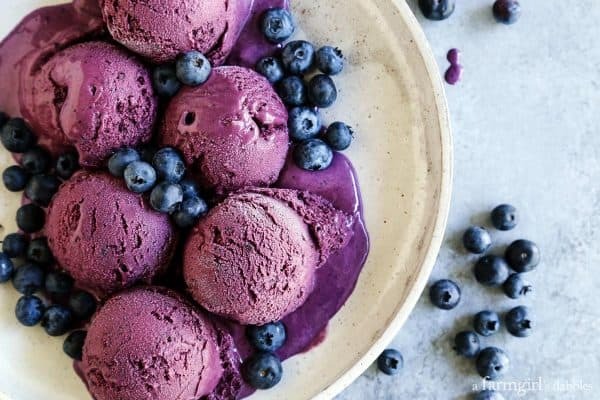 What a beautiful ice cream, nothing beats roasted berries! Jen’s book is amazing. She is a total rockstar!! And these photos Brenda are lights out gorgeous! !